Sculpture Of The Famous Renaissance Sculptor Michelangelo At The Funerary Monument In The Basilica Santa Croce, Florence, Italy. Lizenzfreie Fotos, Bilder Und Stock Fotografie. Image 111725971. Standard-Bild - Sculpture of the Famous Renaissance Sculptor Michelangelo at the Funerary Monument in the Basilica Santa Croce, Florence, Italy. 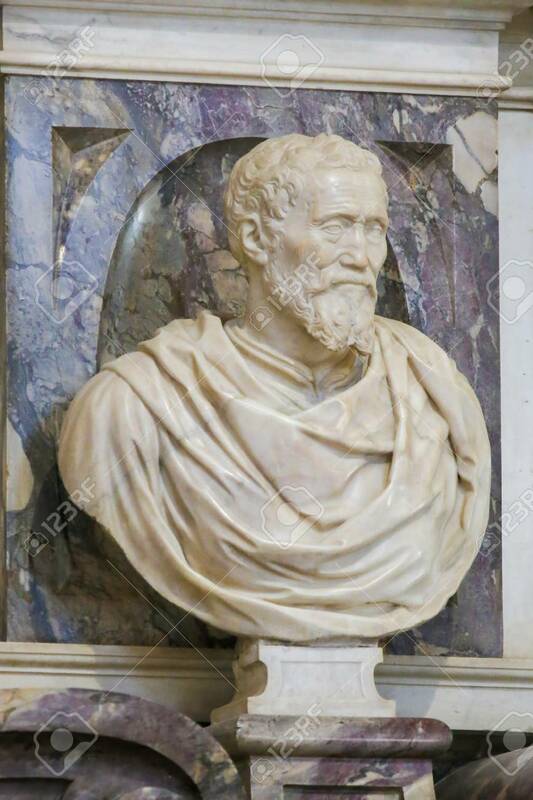 Sculpture of the Famous Renaissance Sculptor Michelangelo at the Funerary Monument in the Basilica Santa Croce, Florence, Italy.